Join Mahaweli Reach Hotel and witness the wonders of Kandy. Attractions here range from magnificent Buddhist temples to lush gardens, fascinating museums, evergreen tea fields and captivating cultural performances. Come discover the rich heritage and history of our island home. 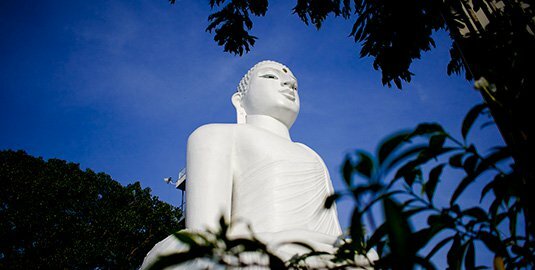 The revered Sri Dalada Maligawa, located five km from our hotel, has become an icon of Sri Lanka due to its immense historical, religious and architectural value. 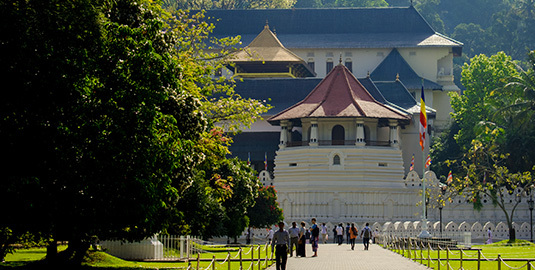 This is the best place to visit in Kandy and it is referred to as the Temple of the Sacred Tooth Relic as it features the Tooth Relic of the Gautama Buddha. Plan your visit during the rituals held three times a day at dawn, midday and in the evenings. Apart from the Tooth Relic that is enshrined in a majestic golden casket, attractions of the Sri Dalada Maligawa include the Royal Palace and many fine paintings as well. 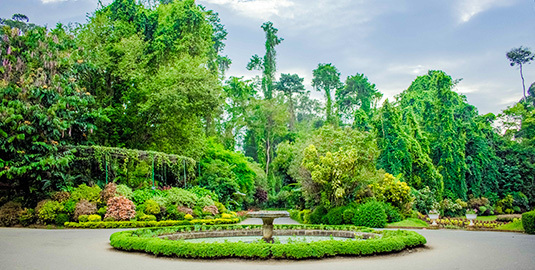 Take a stroll through the country’s largest garden that is home to 4,000 different species of plants and over 10,000 trees. With its colourful flower beds, elegant archways and an avenue of royal palms, the beautifully-landscaped gardens are considered as the finest of its kind in Asia. It is famous for its vivid collection of orchids, the Giant Bamboo of Burma, the Cannonball tree and the Double Coconut Palm known for producing the world’s largest seed. Explore the gardens and get lost in the true wonder of nature. 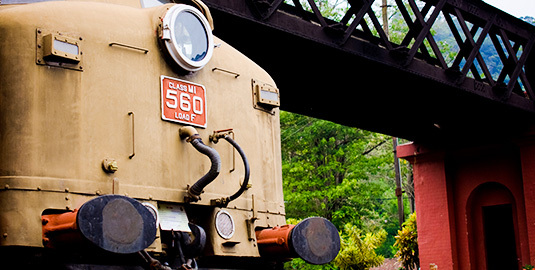 If you like travelling in trains, a visit to the National Railway Museum in Kandy is a must. The museum was declared open in 2014 to commemorate the 150th anniversary of railway service in Sri Lanka. Housed within the museum is an interesting collection of engines, carriages, rail cars, locomotives, trolleys and machinery belonging to different eras since railway travel began in the country in 1864. The prestigious Trinity College in Kandy is not only famous for being the alma mater of one of the greatest cricketers in the history of Sri Lanka, but it’s also known for its beautiful chapel. Built to commemorate the 50th anniversary of the school, the chapel is designed with traditional Sinhalese architecture that reflects the glory of ancient Kandy. Inside the open-air structure you will find a breathtaking collection of Biblical murals, wood carvings and granite columns, all under a magnificent pantile roof with overhanging eaves. The site of many legends, the Bahirawakanda Temple is perched on top of a hill, a kilometre away from Kandy Town. The main attraction of the temple is the gigantic Buddha statue in a meditative position, that can be seen from anywhere in the city. The statue stands at an impressive 88 feet overlooking spellbinding vistas of the bustling town below. The Kandy Lake lies serenely beside the sacred Temple of the Sacred Tooth Relic. Also called the “Kiri Muhuda” or the Sea of Milk, it is an artificial lake built by the last king of Sri Lanka, Sri Vikrama Rajasinha in 1807. According to legend the small island at its centre was used as a bathing point for the royals and was accessed through a secret tunnel. 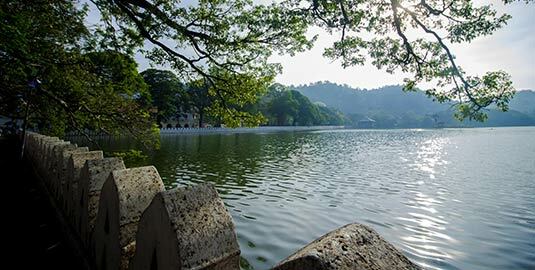 The tree-lined path around the lake is ideal for a quiet stroll or jog, while if you head to the Kandy View Point above, you can enjoy spectacular panoramic views of the city. 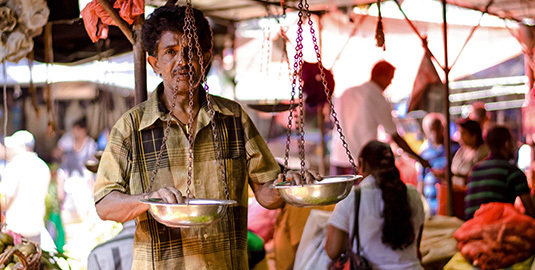 Visit the Central Market in Kandy and shop for exotic goods and soak up some authentic and vibrant local culture at the same time. Not only will you be able to buy a range of spices, vegetable and fruits here, but you will also find local crafts that make great souvenirs to take back home. 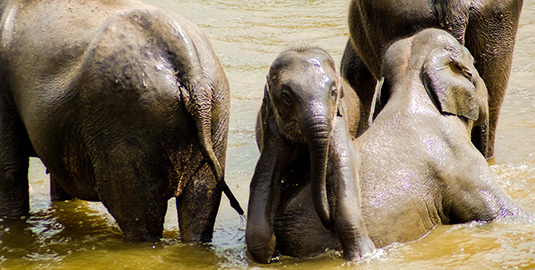 Located about 1.5 hours away from Kandy Town, the Pinnawala Elephant Orphanage is a must visit for any animal lover. This wonderful establishment is not just an orphanage but is also a nursery and breeding ground for elephants. Apart from meeting these gentle giants, you can go shopping for elephant-motif souvenirs such as clothing, crafts and special stationery made out of recycled elephant dung. 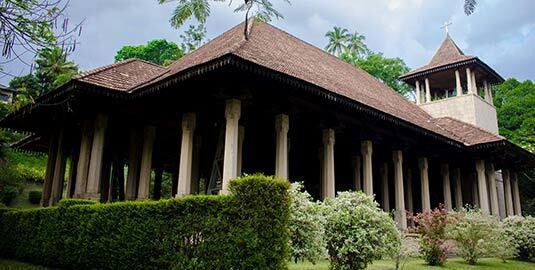 Step into the National Museum of Kandy and go back into the time of the glorious era of the Kandyan kingdom. The museum is housed in a building that was originally a palace built during the reign of Sri Vikrama Rajasinha. 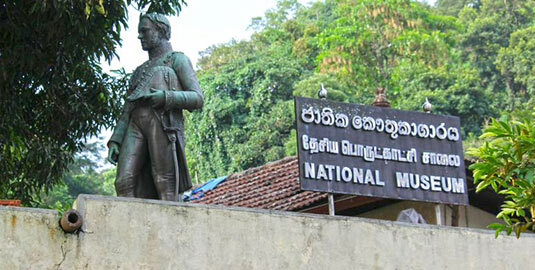 The National Museum of Kandy is home to an astounding 5,000 remnants that present immense historical and cultural value. Amongst the extraordinary collection of artefacts, jewels and weapons, some of those that stand out include the magnificent crown and throne of the Kandyan monarchs. Discover the story behind one of the most beloved teas in the world. Ceylon Tea has a history of almost two centuries and this is portrayed at the Ceylon Tea Museum which is a 10 minute drive from Kandy. 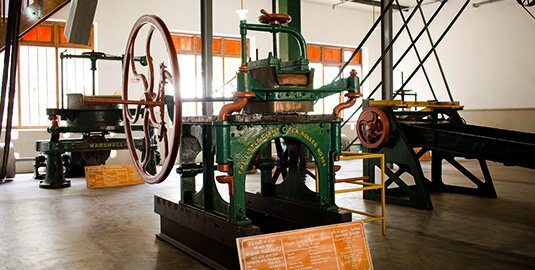 Built in 1925 as a tea factory, the museum contains artefacts such as vintage tea processing machinery and exhibits on tea pioneers, James Taylor and Thomas Lipton. A guided tour around the museum ends with a refreshing cuppa of pure, fine Ceylon Tea that can be enjoyed on the top-floor tearoom.